The inbound marketing agency helping companies generate revenue, reduce sales cycles, and increase customer lifetime value. We'll guide you through the step-by-step process of building a detailed buyer persona that will fuel your marketing campaigns. Not all leads are created equal. So, what’s the best way to bring in more of your targeted customer base? It all starts with buyer personas! Personas are inbound marketing and sales tools that help you identify and understand your target customer better so that you can make profitable marketing decisions for your business. Simply put: Buyer personas help us provide the right message to the right person at the right time. The problem: Most buyer personas aren’t good enough. They are inadequate at providing actionable insights. If your persona profile is mostly demographic data (age, income, education, employment, geographic location, etc) then you don’t have enough information to fuel your marketing and sales campaigns. 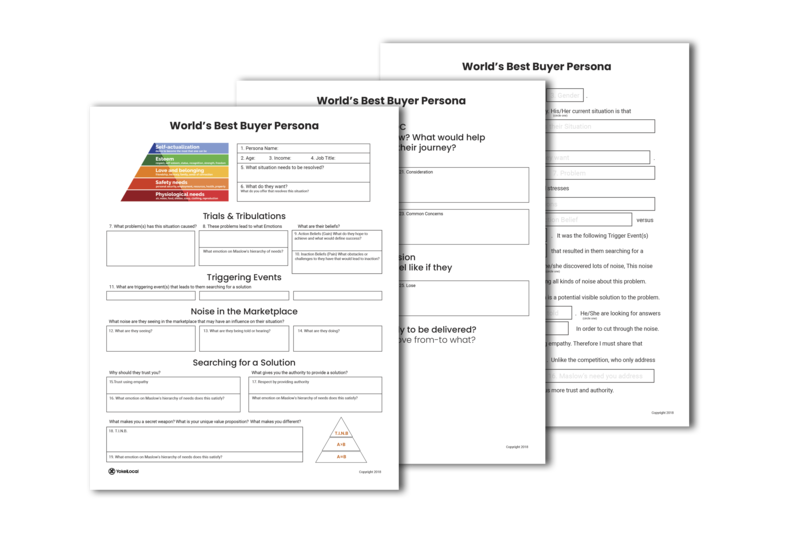 At Yokel Local, we’ve developed the World’s Best Buyer Persona and have been sharing our detailed process in the World’s Best Buyer Persona workshop! In our workshop, you will not only identify your ideal customer and build a detailed buyer persona profile, but you will also learn how to leverage it to create engaging and relevant messaging. Yokel Local is an Inbound Marketing Agency based in Las Vegas, NV.